﻿ Mountain’s Bay Guest House and Spa, Palawan | FROM $34 - SAVE ON AGODA! Have a question for Mountain’s Bay Guest House and Spa? 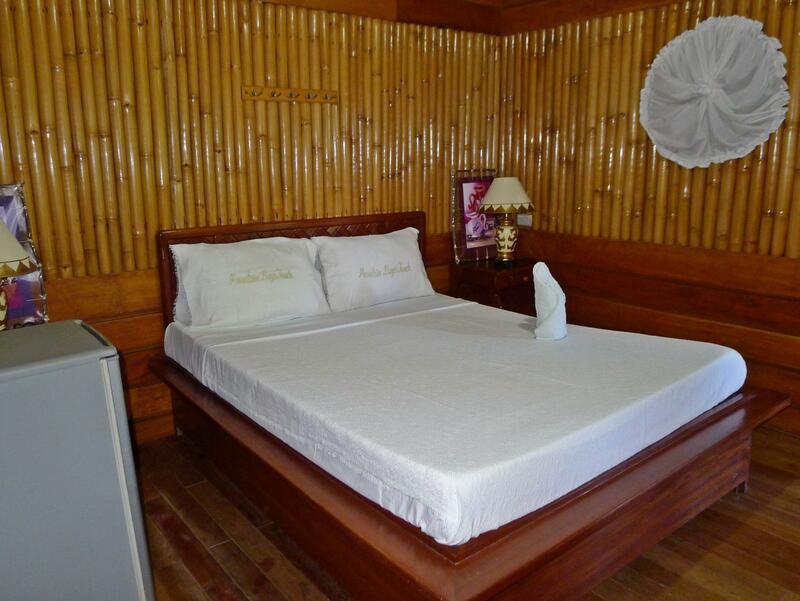 Well-placed in the sightseeing, restaurants, beaches area of Puerto Princesa City city, Mountain’s Bay Guest House and Spa provides a most conducive spot for you to take a break from your busy days. With its location just three kilometers from the city center and five kilometers from the airport, this 3-star hotel attracts numerous travelers each year. For sightseeing options and local attractions, one need not look far as the hotel enjoys close proximity to Puerto Pincesa sports complex, Ramon Mitra sports complex, Vietnamese Village. Mountain's Bay Touch Medi-Spa and Eco-Resort offers impeccable service and all the essential amenities to invigorate travelers. The hotel provides airport transfer, family room, car park, meeting facilities, bar to ensure our guests the greatest comfort. 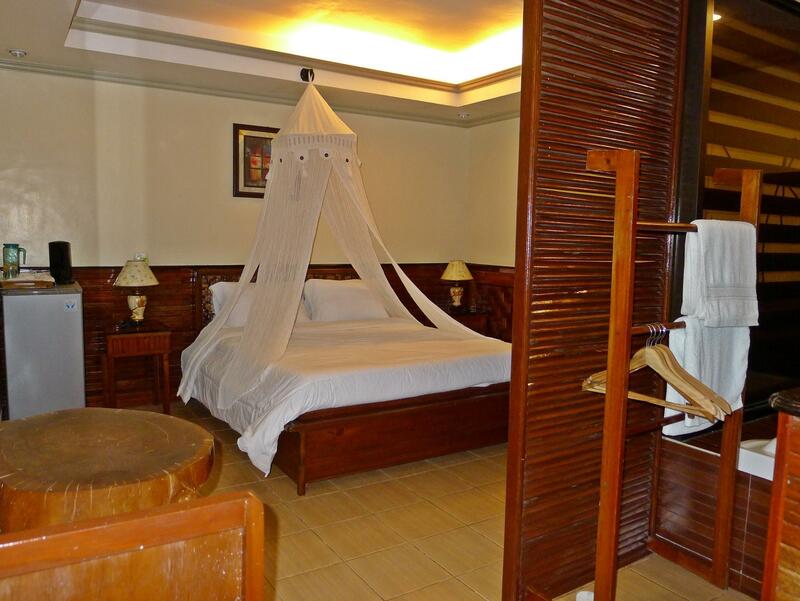 The ambiance of guesthouse is reflected in every guestroom. Non smoking rooms, air conditioning rooms, a shower, acomplimentary bottled water,and a coffee and tea maker are just some of the facilities at your disposal. Whether you're a fitness enthusiast or are just looking for a way to unwind after a hard day, you will be entertained by top-class recreational facilities such as garden, massage, spa, sauna. 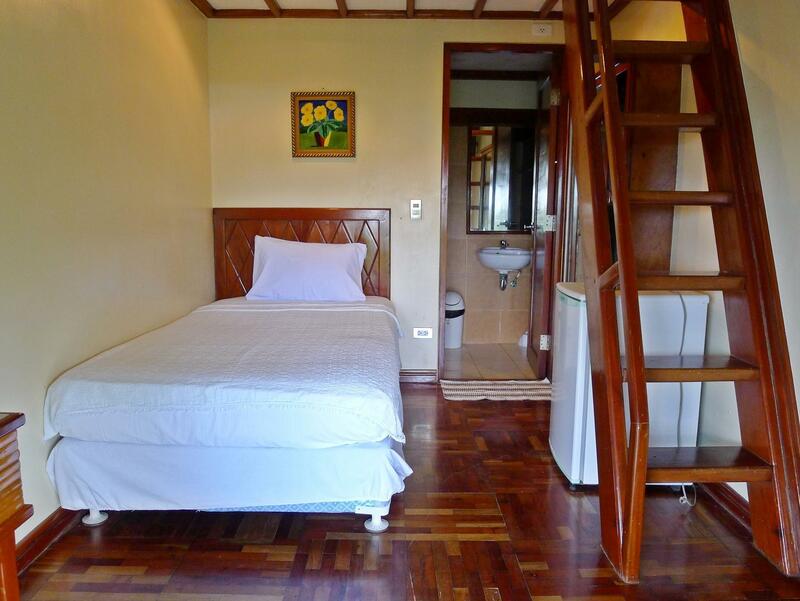 When you are looking for comfortable and convenient accommodations in Puerto Princesa City, make Mountain’s Bay Guest House and Spa your home away from home. Round trip transfers are available. Please,provide your complete flight arrival details in Puerto Princesa City upon booking or at least 24 hours prior to arrival for arrangement. Please contact cs@agoda.com. Since we arrived late into Puerto Princesa the drive to the resort was quite far. It's quite far from the main city although it is still part of puerto princesa. staff was friendly and accommodating. The food was so-so. We had a nice time, although they are having a renovation, the Garden setting is so nice and the staff needs to keep up about guest relationship and service. Most of the facilities is not available due to renovation. All in all it's Ok.
my fave place is the dining area. I was pampered by the staff esp. who drove me around the city. he also recommended places to go to. drove me to the city colisem, market and bakers hill. they took care of me so well ! .. from city tour to diving to restaurants to bars... to evrywhere in puerto princesa. This really is a place of Horror! We only stayed for 1 night and left this place, although we paid upfront for 4 nights... We ended up in a Tropical storm in evening / at night without any warning of the staff. Water was leaking in at several places, even at the electricity outlets. Power was cut off during night and no candles were provided. The morning after we had a little breakfast and decided we want to check-out. The result was that we couldn't find any of the hotel staff members... They were disappeared! This Hotel is not running for guest. We were the only guest during our 1 night in this hotel and I'm sure no other guest were coming into next days... We asked one of the hotel staff for some tourist information, we get back the question: why??? This hotel doesn't serve lunch or diner. You have to travel for approx. 20 minutes by tricycle to town centre. Most of the roads are not paved, but that's pure and fun! Spa facilities are a joke... Sauna is not working, massage is only available when booking upfront and expensive. If you want a nice and relaxing holiday, don't stay in this hotel. we have great experience in this hotel. Staff is nice, the view is great. Just the room size is not as big as we expect. We choose the ocran view room, a loft style. However, the first floor is a bit too small, and the 2nd floor we barely have chance to use it. So if you travel with family, this will be a great choice. For couple, the space is a bit tight. Beside, the location is a bit far and secret from everywhere. Need some patience to find it. Its a family run traditional resort located at a bay area, very quite. Basic facilities and very basic services. For the whole period, we were only guest at this resort. the place for the hotel is stupid ! don´t beach , don´t pool ! very far from anythhink !! very booring there !! Relaxing ambiance of the hotel. We really like our stays in Mountain's bay touch medi-spa and eco-resort because of the relaxing ambiance even though w/ some problems in our room but still we felt the welcoming nature from the view in our hotel, and also the foods we eat and the very kind staff of the hotel. Our stays i hotel was very relaxing even though we have some problems in our rooms. And with some delays in services but still we enjoyed our stay. If you want a place away from it all this is the place to stay. Very disappointing. Main reason to to to Puerto Princesa was to go to the underground river. Hotel sent a lovely 4 page letter to give prices for tours and spa service as soon as I booked. I asked to be booked into the underground river. It appears that Manila office did not pass on this information, hense I could not see the underground river. I asked the ladies to book me on a tour so I could see the Butterfly garden. I got the City Tour and they did not go to the Butterfly garden. From pictures the spa services look fantastic, they are not a permanent fixture, they call in the spa ladies when required which means I couldnt slip in and get something done. Food nice but they ran out of drinks which was odd because there was only me and another group of 4 staying. Seaview room should be named riverview, because thats what it looks like. there's a good view of the beach and fishpond areas, as well as lovely sunrise from the hotel grounds. i liked the well-manicured lawn including the nipa huts. staff are polite, friendly and accomodating. the food is just okey, nothing spectacular. over all, the hotel is neat, the layout and design are impressive. the room is clean, also the beddings and the towels. nice a/c room. had a double storey. room good for 4 person. have tv with great channels. not much variety of food. service was good. Too far from the city, restaurants, and main attractions. 40 minutes van ride from airport to hotel. Look nice until you go into the room. They have a serious mold problem. First room key didn't work. Second room air conditioning and bathroom light didn't work. And a surprise - used feminine napkins in upstairs night table. Third room upgrade better but moldy and not 100% clean. Massage room moldy. Turn down the massage/spa services. The Hotel is clean and the customer service is good. The place is relaxing because the environment is surrounded by plants and trees. You can feel the coolness and calmness of the night when you hear the sound of the night animals. Its really a wonderful experience because the hotel staff and crew are friendly and accommodating. The food is delicious. Lastly, the room is spacious and clean. Nice hotel and good food. it's about a 15 minute drive from the airport area. the cheapest way do travel to and from here is to just rent a motorcycle or scooter. they will pick you up from the airport but they charge way to much. i rented a motorcycle for 6 days for about the same price as 1 ride from the airport from the hotels shuttle. the lady at the front desk did offer her motorbike to me so that i could ride to the city and rent the motorcycle and that was more than nice of her. they try hard but aren't exactly professional. the same lady that let me borrow her motorbike also serves food, runs the front desk, cleans rooms, gives massages, and does the pedi's and mani's. the pedicure was a joke and she burped all through the massage. definetly wouldn't recommend any of the hotel services except the clothes washing service and the food service. the hotel and rooms are also nice but the view is just ok. nothing too great although it is peaceful. i would stay again. Stay away. We had to ask for fresh towels and they kept turning off the water. Sunday is the maids day off and no one cleans the room. To far from town town and the restaurant has terrible service.Next time I will stay in town close to everything else. it was peacfull staff were friendly, didn't speak great English this stopped them from being able to suggest the best trasport , acctivities eg..
Scenary around the resort is fantastic. The access to the resort is not great, rough road. Scenery around the hotel is fantastic and quiet as I wanted. The service was great and the people are friendly. However, the bed in the Senior Suite is due for a replacement. The water supply is not great and you feel sticky after a shower. Overall, value for money and a quiet and relaxing environment.